ABS Fuel High Energy Fat Burner: Does it Work? ABS Fuel High Energy Fat Burner is a nonprescription supplement designed to enhance fat burning while increasing energy levels. 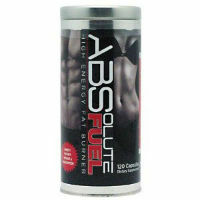 This is one of a number of supplement products created and sold under the ABS Fuel brand label. 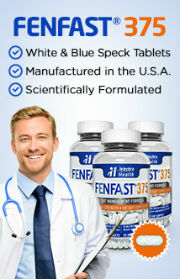 Unlike many products in this category, this one doesn’t promise magical or miraculous results. Instead, it is designed to provide people who are making healthful life changes with the types of benefits that will make their efforts easier to accomplish. It is also made to help people who follow through with those efforts to be able to see better results from what they’ve done. That said, at no point do they claim that popping pills will somehow cause fat to melt away – something that no pill can accomplish but all too many pretend they can do. That is an appealing feature of the marketing of this product. 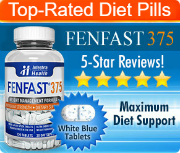 While this is a fat loss product, it should be pointed out that this may not be the ideal solution for someone who is just looking to see a number reduction on the scale. It isn’t meant for weight loss as much as it is meant for fat loss. That is, it isn’t designed as much for slimming down a waistline as it is to help change the body’s composition. People who want to look fitter or who are getting into body building may like this product, but people who are just seeking to slim down might not find this formula is suited to their needs. The ABS Fuel High Energy Fat Burner helps to enhance workout performance and results and also provides appetite suppressants so your workout doesn’t leave you completely starving. When you’re too hungry after a workout, it can be challenging to make the right food choices. The appetite suppressant may give you the control you need to choose foods that will support lean muscle but encourage further fat burning. At the time of the writing of this review, the ingredients that made up the formula for this product included: cordyceps sinensis extract, taurine, caffeine anhydrous, irvingia gabonensis, guggulsterones E&Z, citrus aurantium, theobromine, white willow bark, cinnamon bark extract, hoodia, “piperline” (which may be piperine with a typo in it), alpha lipoic acid, vanadyl sulfate and chromium picolinate. Anyone with experience looking at weight loss supplement ingredients will rapidly see that this formula is greatly based on stimulants. The caffeine anhyrdrous and citrus aurantium alone can provide a powerful stimulant effect. That said, the FDA has cautioned against this combination, which is concerning. It should also be pointed out that there are other ingredients in this formula that are known to lead to unwanted side effects in some users. Consult a doctor before using this product.